Llucia Ramis graduated in Media Studies from Universidad Autónoma de Barcelona and works as a journalist for various media outlets. She was editor-in-chief of the magazine Quimera and directed and presented the arts programme Això no és Islàndia on Balearic television. She is a regular contributor to the broadsheets Ara Balears, El Periódico and El Mundo. In 2010, Obra Cultural Balear awarded her the Bartomeu Roselló Pòrcel Prize in recognition of her services in the field of culture. She has published short stories in such acclaimed anthologies as Odio Barcelona (Melusina, 2008), Matar en Barcelona (Alpha Decay, 2009) and Veus (Empúries, 2010 / Anagrama, 2010). 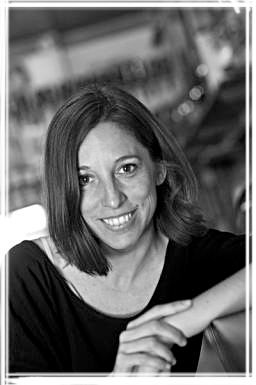 She has written the novels Coses que et passen a Barcelona quan tens 30 anys (Columna, 2008 – Catalan / Editorial Barrett, 2018 – Spanish), Egosurfing (Destino, 2010 – Josep Pla Prize) and Tot allò que una tarda morí amb les bicicletes (Columna, 2013 / Libros del Asteroide, 2013). Her most recent novel is Les possessions, that won the Anagrama Award of Novel in Catalan 2018.